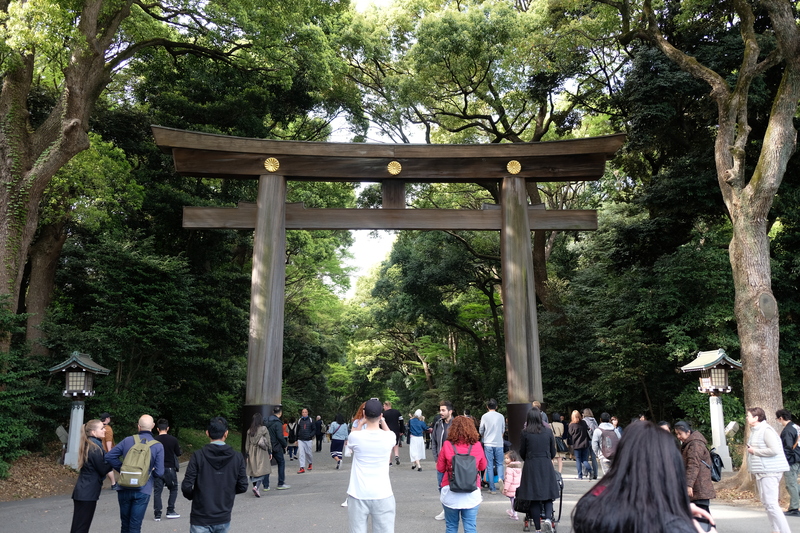 I’m combining day four and five, covering the Bamboo Forest, Kinkaku-ji (Golden Pavilion) and Fushimi Inari Taisha. This wasn’t my plan, but day four’s schedule had a hiccup. 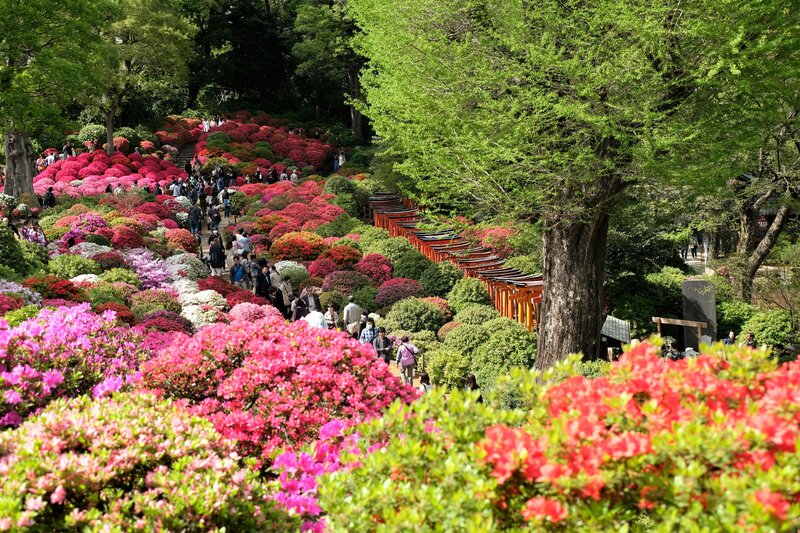 Day four was going to be Katsura Imperial Villa and Arashiyama Bamboo Forest. 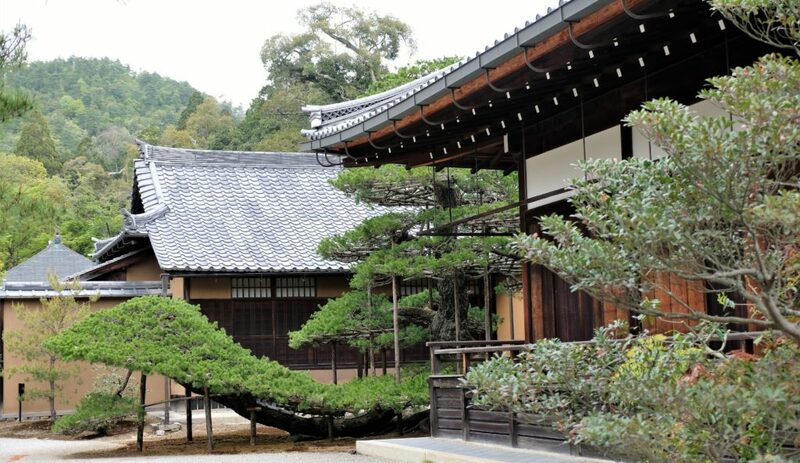 Owing to my fantastic planning, I assumed Katsura Imperial Villa could be visited as easily as Kyoto Imperial Palace. Not so! Another reason for combining these days is because I’ve missed all the other bits and pieces for each day in the previous post. 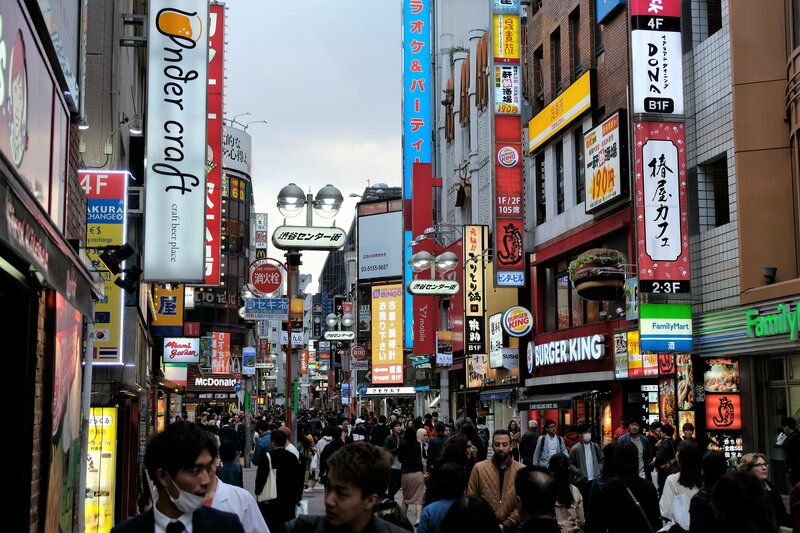 So, following this post I’m going to do one on the food, people, theatre, Gion and Geishas. Returning to the subject of my hiccup on day four, it was my fault. Taking a small detour to see Katsura Imperial Villa as my first stop of the day. Going against my better judgement, I did find it peculiar when leaving Katsura station there were no signs to the Imperial Villa. As a result of the lack of signage (and me not looking at my Google Maps properly 😊), I took a detour finally getting to the entrance. When I finally got there, a very polite lady told me I needed to book a ticket in advance…with a minimum 3 week waiting list! There was a small possibility that if I came back the next day, I may have been able to get a ticket if someone cancelled. That would mean me getting there at 10:00 and waiting till 14:00. Hmmm, that wasn’t going to happen. So, I dragged myself back to the train station and headed to stop number two, which became stop number one. One and a half hours of the day wasted made me mildly disappointed whilst heading to Arashiyama. 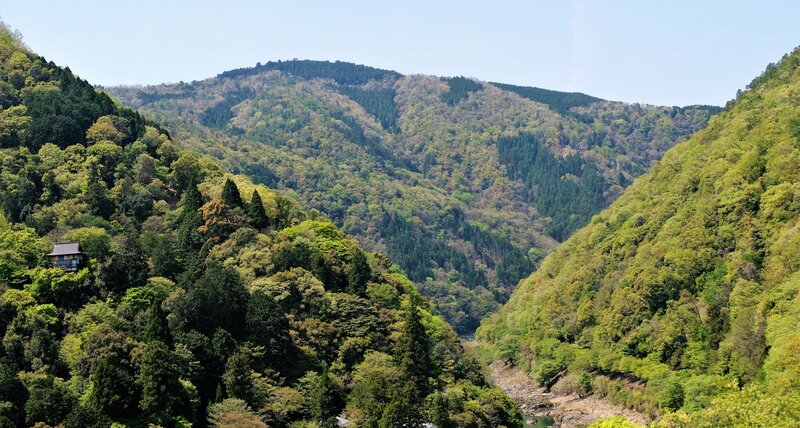 I was going to Arashiyama to see the Bamboo Forest. 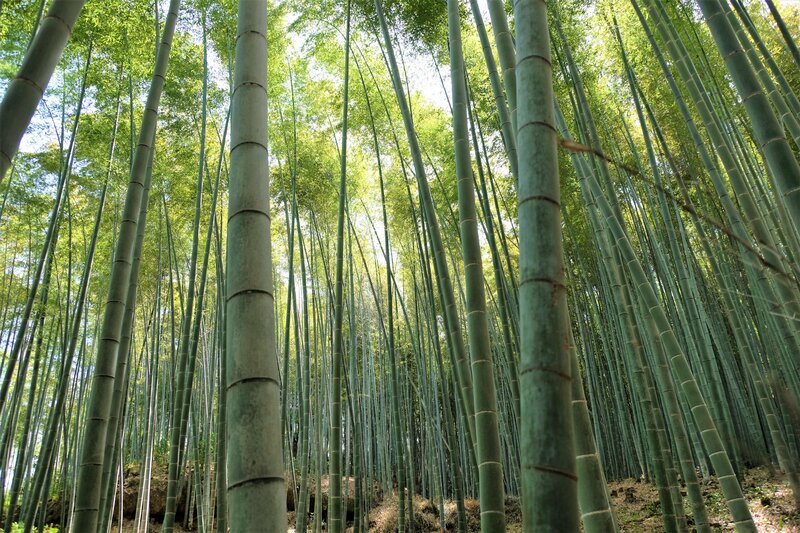 You only need to Google the bamboo forest and you will see why I wanted to go. 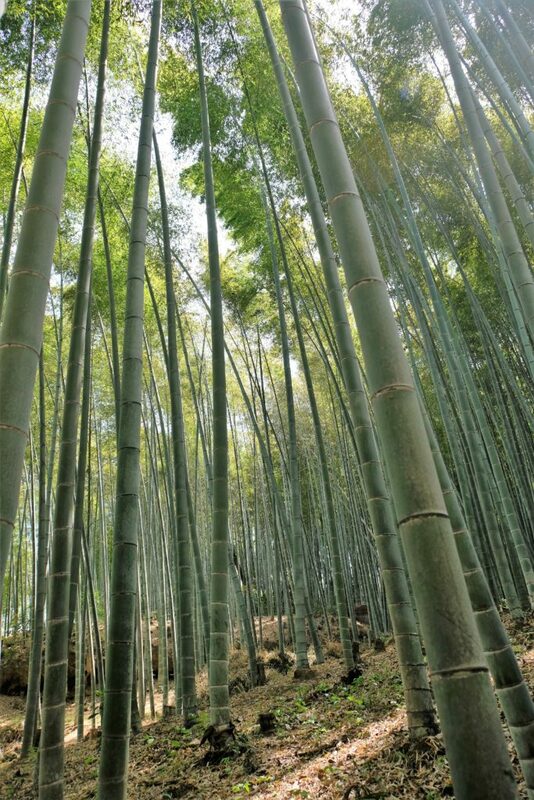 That, and many Japanese movies like Crouching Tiger, Hidden Dragon have scenes in bamboo forests had me sold. 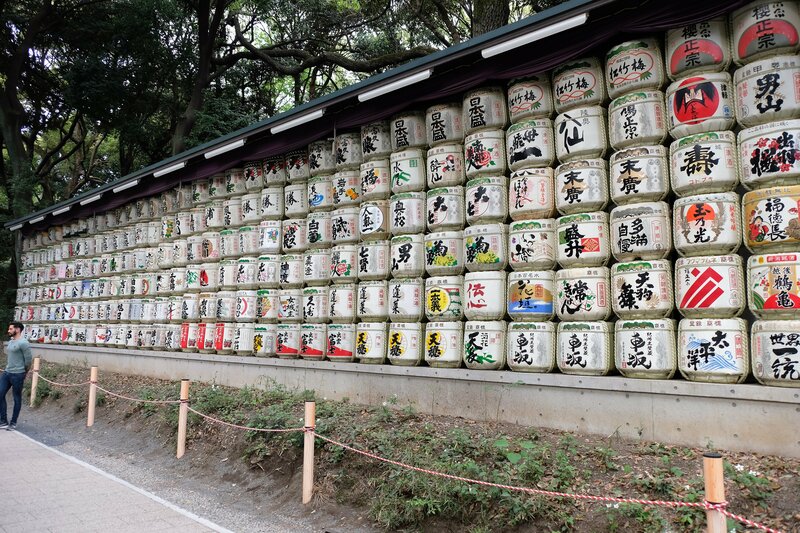 There is a lot more to see in Arashiyama which I didn’t because I didn’t know about, much like Uji. Well, that’s not totally true. My Kyoto map covered the city and surrounding towns sites extensively. Like I’ve said before, it’s just not possible to see everything so you just have to prioritise. Sometimes I’ve been luck, other not, but overall, I’d say I’ve been very lucky throughout my travels. Considering how long I spent there I’m still surprise (only a little) by how little I saw – I’ll explain shortly. Popular or famous picturesque sites are often very different in reality! Of course, you can wake up before the birds start singing to be first in line just so you can get that perfect photo. That’s just not me, nor do I travel and take photos just to get “that” shot. If I was a professional photographer sure I’d only want the perfect photo, but I’m not. I want experiences and my photos are for my memories. Yes, I have woken up before the crack of dawn, but never with the sole purpose of an obligatory picture. I want the experience of the moment to be the dominant factor not the social media reaction. 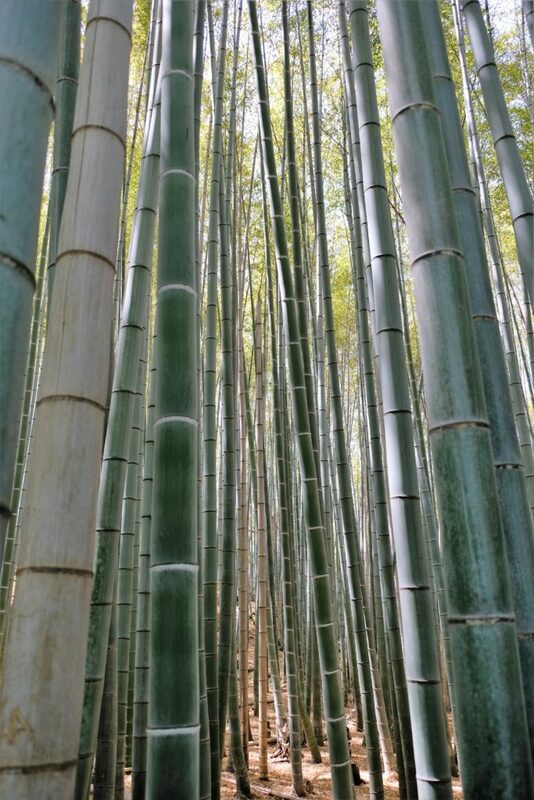 Needless to say, the zen like pictures of the bamboo forest on Google/Instagram etc. are not what you see in reality…like so many other places. Walking five to six abreast most of the time in a looooong queue! 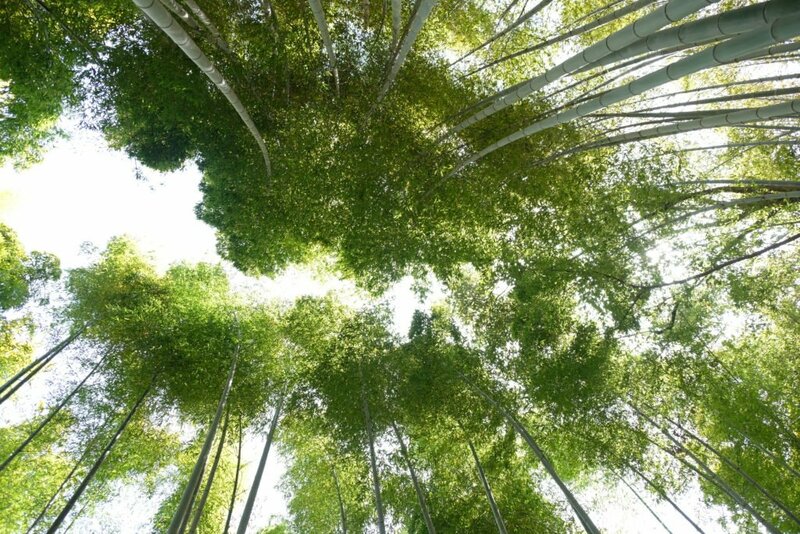 It goes without saying, the bamboo forest is beautiful, interesting and different. Would I have gone if I knew it would be that busy? Honestly, likely not. You couldn’t even hear the wind rustling through the treetops with so many people. Such a place (in my opinion) should be quiet and serene, where you feel more in touch with nature. Not where you wish you brought your headphones. You may have already guessed, I was disappointed with the visit 😊! 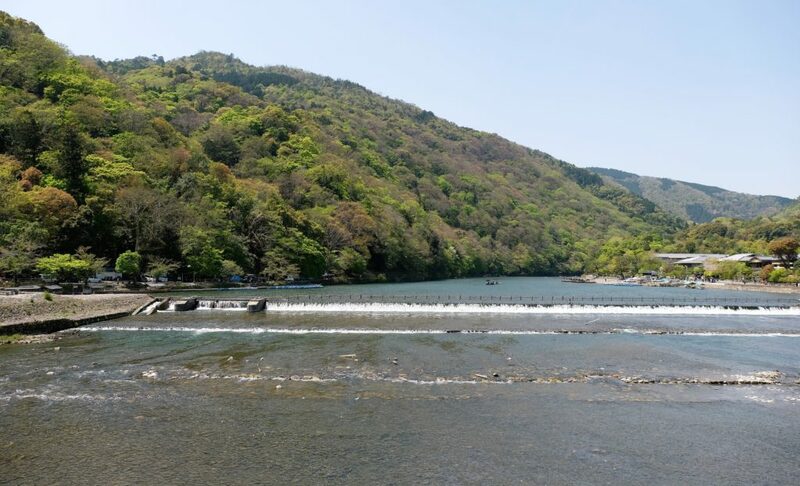 For that reason, I didn’t spend much time at the bamboo forest nor Arashiyama. Just to clarify, I didn’t storm in and out leaving in a huff. After walking through the bamboo forest, I wondered about the area following the troves of people. Following people as if on a conveyor belt passing lots of places that would have tickled my fancy. Here I’d be interested along with thousands of others (a sure way to wane my interest and curiosity). Queuing up wasn’t high on my list, so I headed back to the train station. I really don’t want to deter anyone from visiting the bamboo forest. My suggestion would be to go early or very late. Either way I cannot promise solitude. 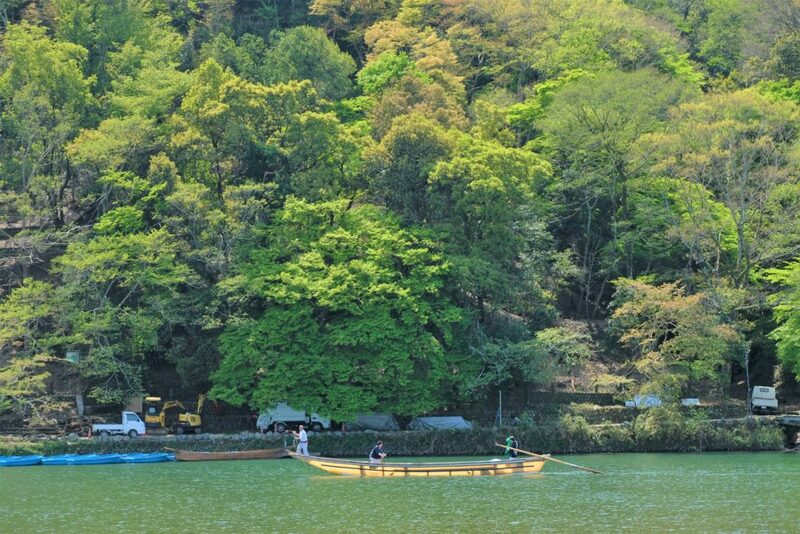 All in all, I spent a few hours in Arashiyama, hence my surprise about how little I saw, or paid attention to. Therefore, I ask you to please excuse the lack of “WOW” photos! As I alluded to, I have none of the clichéd pictures you see online. That really was most of my day, which drove my decision to include the next days’ stops into this post. 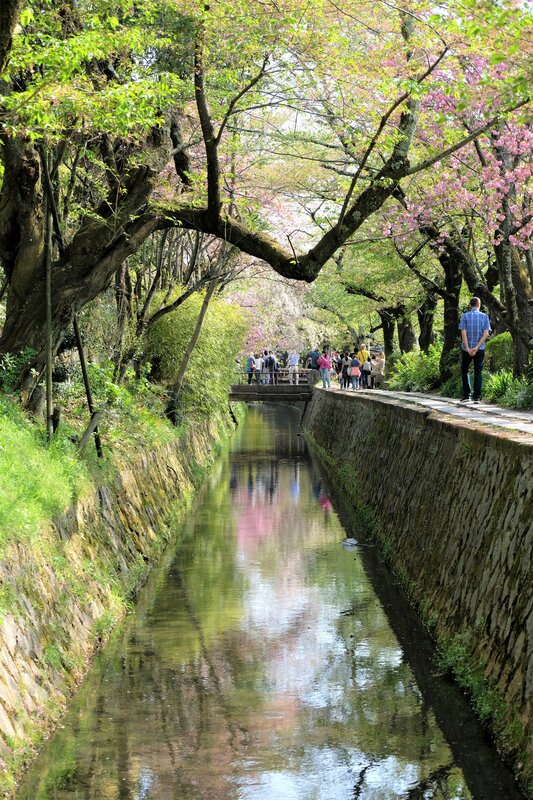 On the agenda would be two locations on opposite sides of Kyoto, well worth it! 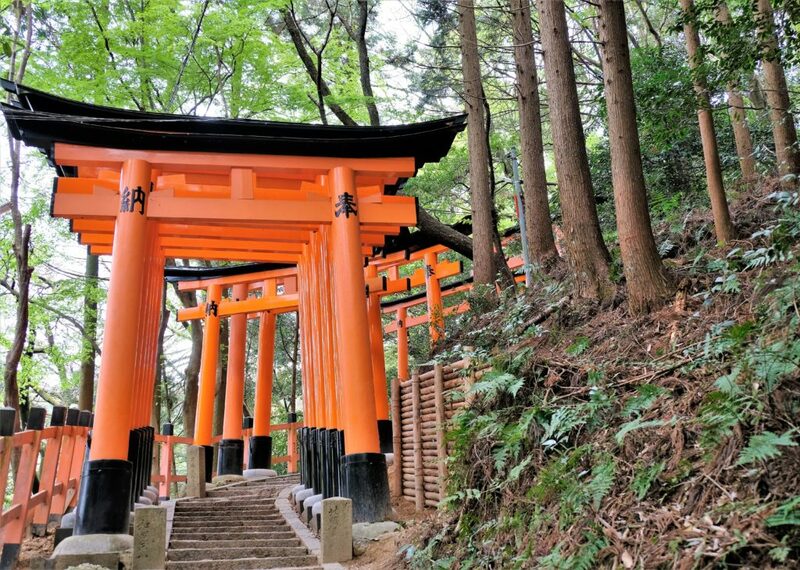 Famous for its torii paths entwined up Mt Inari, Fushimi Inari Taisha is located in South East Kyoto. It took me less than 30 minutes to get there from my hotel (short walk and train). 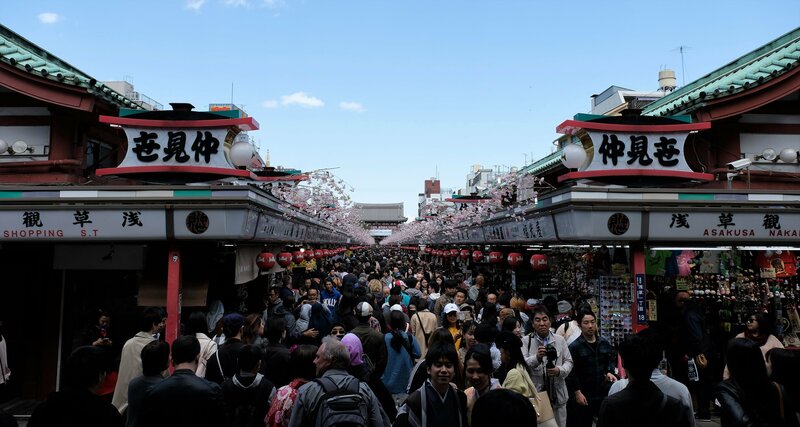 Nezu Shrine in Tokyo was my introduction to torii paths, but Fushimi Inari Taisha is on an industrial scale by comparison. With my usual lack of foresight, I decided to go without much research about the place…the pictures on the net look cool, so that was thorough enough research for me. The visited ended up being excellent, despite my first impressions being reminiscent of the bamboo forest. My litmus test, would I go again, definitely! 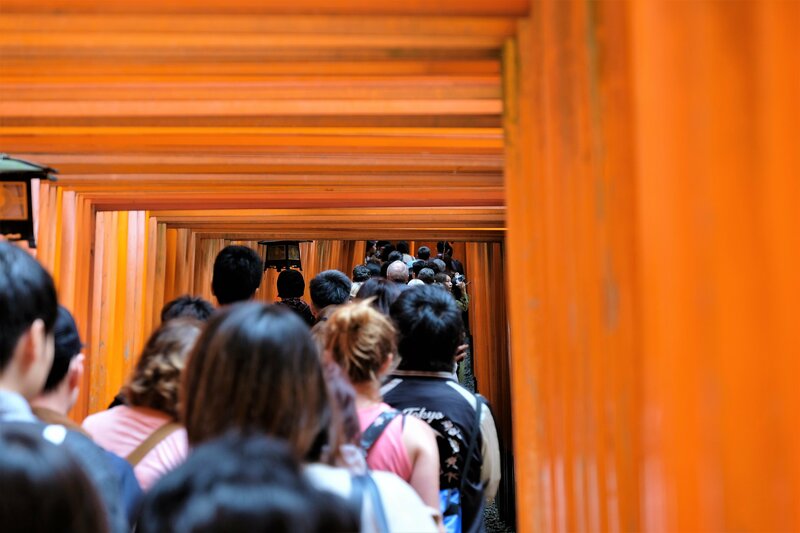 Arriving at Fushimi Inari Taisha, I was taken aback; to say the place was busy is a serious understatement – far busier than the bamboo forest! Yes, I was disappointed. Oh well I was here, so why not fall in with the crowd, spend a little time there then head off… oh ye of little faith! The entrance was packed, that’s no lie nor exaggeration! Like zombies scuffling aimlessly to an unknown destination, you have a choice or two paths to take at the bottom of the hill – both full of people. Either way they are the same path, the one is the beginning of the other’s end. 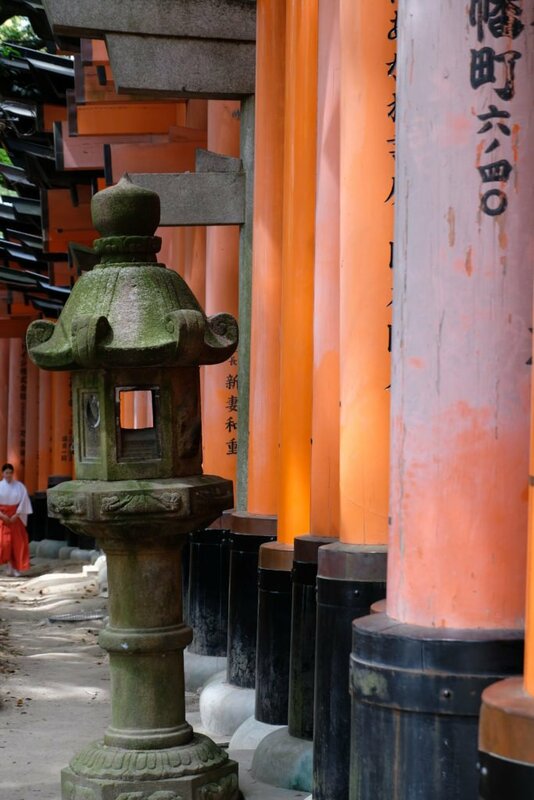 The paths twist through, around and up the Mt Inari like a vermilion serpent. About half way up the two paths join, from there on wards the crowds dissipate more and more the further up the hill you go. That is why I say the visit started off disappointingly but ended very well. 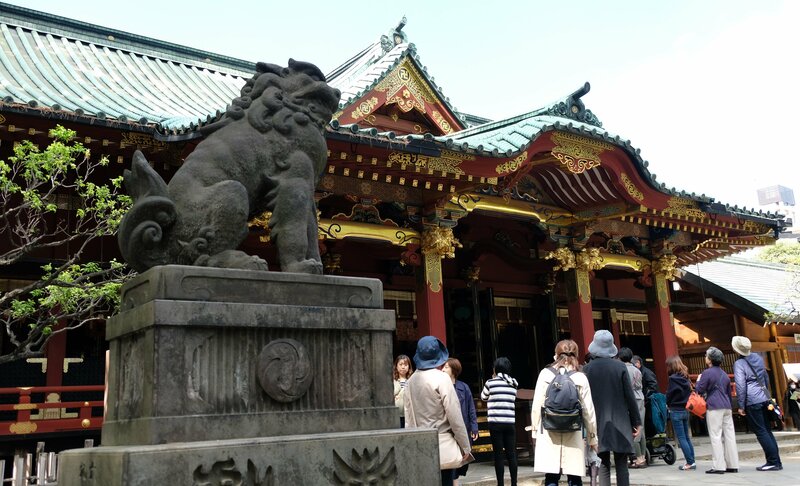 Inari is the god of rice, and the benefactor of business. I guess rice was the main industry hundreds of years ago, so seems a natural evolution. Throughout the entire complex you cannot escape the image of the Fox. 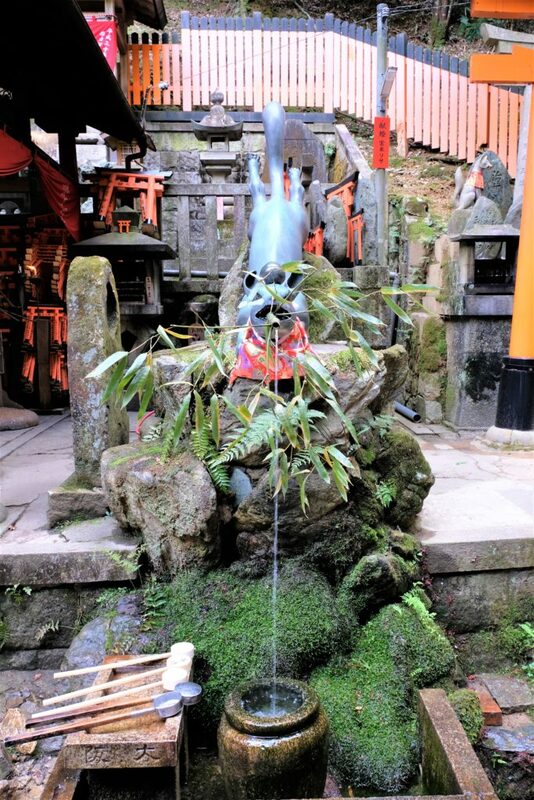 Foxes are a common attribute of Inari shrines, often with a key in their mouth, representing the key to the rice granary. It’s not only keys they grasp in the mouths, sometimes is a jewel, a sheaf of rice or even a cub fox. I’m guessing they all symbolise the same thing, though I don’t know if this definite. 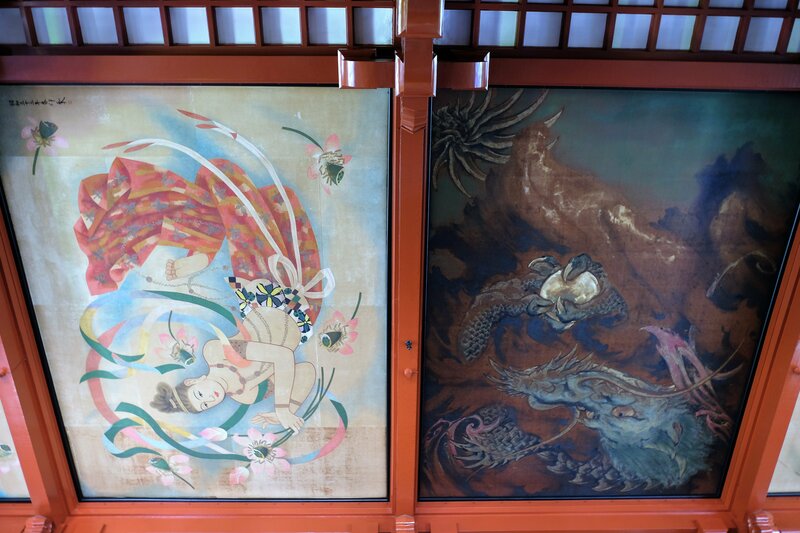 The foxes are messengers and represent a kindred spirit of Inari Okami. 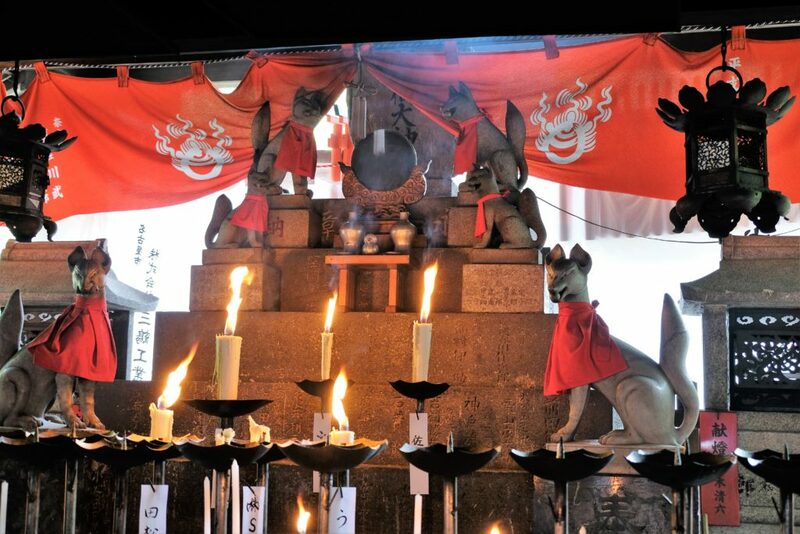 There are foxes that roam Mt Inari, but they have nothing to do with the metaphorical invisible foxes. 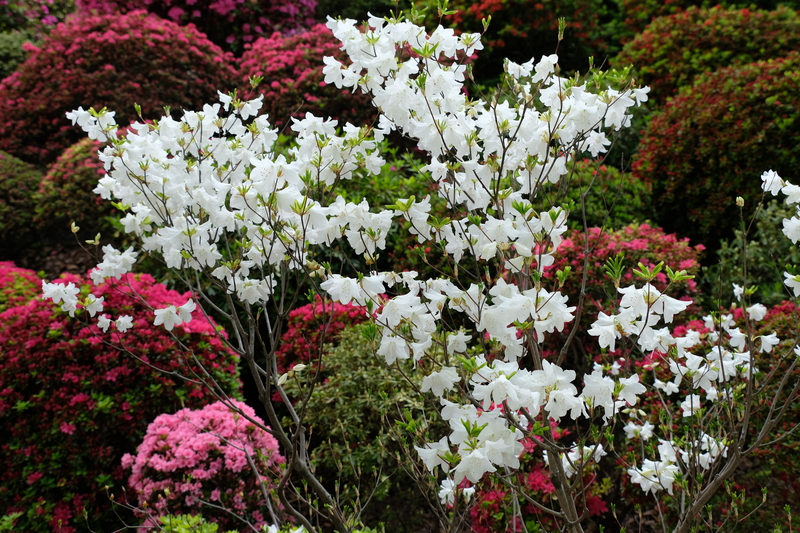 They call these revered kindreds “byakkosan” (white foxes). The fox can also symbolise both benevolence and malevolence. 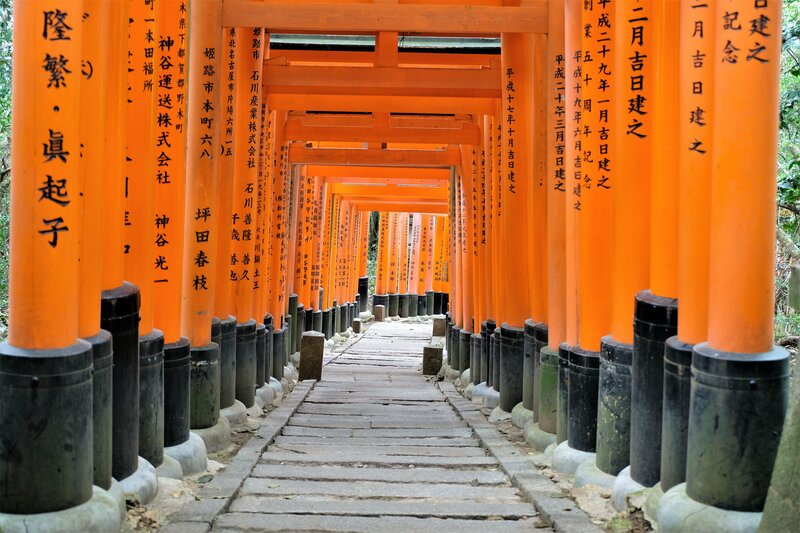 If it’s torii you like, then Fushimi Inari Taisha would be your heaven. 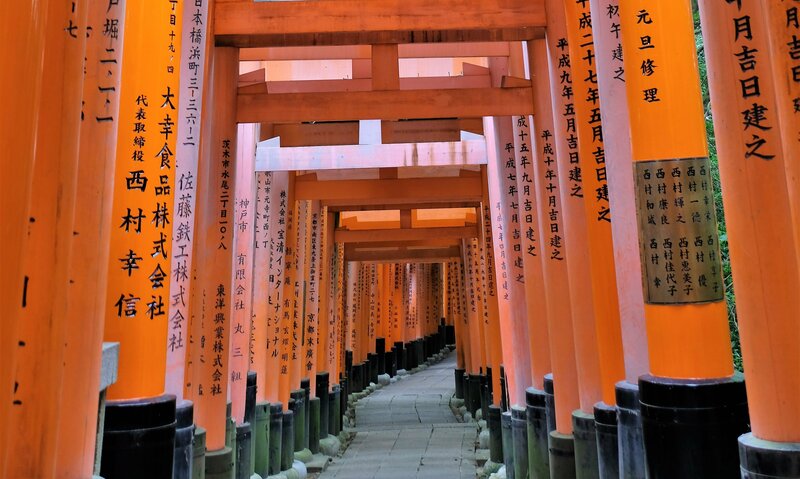 Rows of torii are known as Senborn torii, and Mt Inari is the personification of this. Something I hadn’t known until writing about this is the significance of vermilion red. 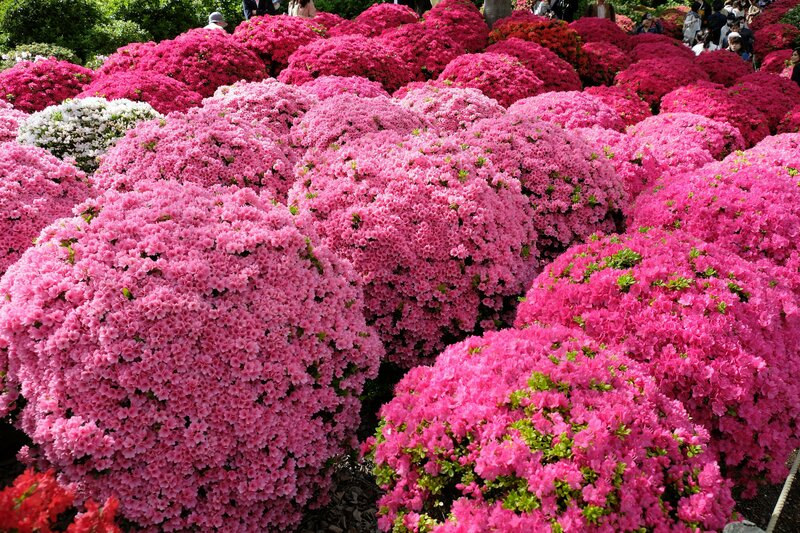 I’d seen the colour used throughout my time in Japan, from palaces, temples and shrines but it hadn’t crossed my mind to ask why. Vermilion red has mythical powers and used as protection against evil forces. 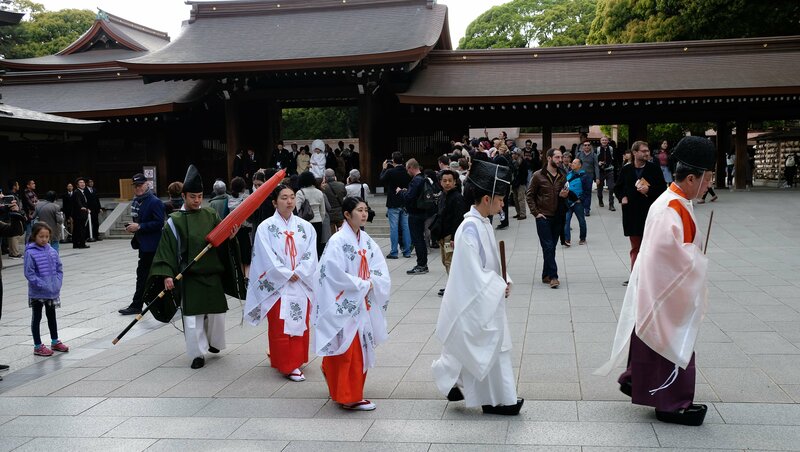 At Fushimi Inari Taisha it also represents a bountiful harvest. Getting back to my visit, the first half was frustrating and a little irritating. It’s like trying to enjoy the Mona Lisa with a 7 foot tall person standing in front of you. The loop around Mt Inari is about 5km and can take anything between 2-3 hours to complete, including stopping for pictures. It’s an easy walk/hike, but there are lots of stairs and I saw many people huffing and puffing, most only go halfway…their loss. Actually, I take that back, most of the paths are flat and paved, even when going uphill. Nevertheless there are a reasonable amount of stairs (nothing like Petra, Portugal etc. ), so not everyone’s cup of tea. 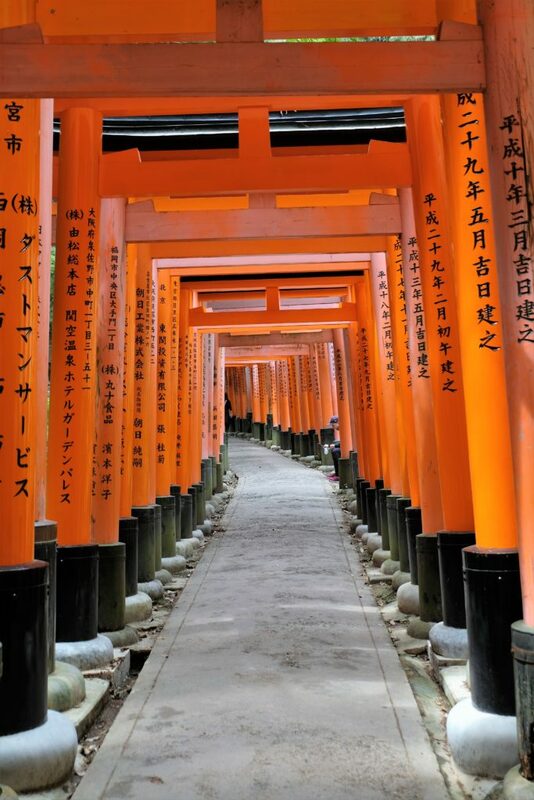 Fushimi Inari Taisha’s torii path (the second half 😊) curves and winds gently up and around the mountain. 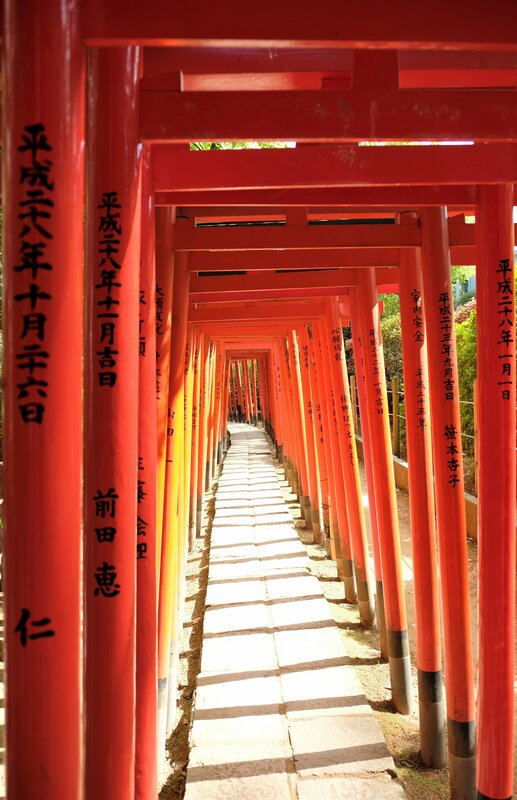 Walking through the tunnels of torii is almost hypnotic, the continuous repetitive red vermilion occasionally broken by a concrete torii. Leaving the crowds below I finally found the solitude I was craving. Nothing but the sound of nature around me, walking through these tunnels of red like Alice down the rabbit hole. The higher I went the more content I became, forgetting to take photos, forgetting the hustle and bustle at the base of the mountain. 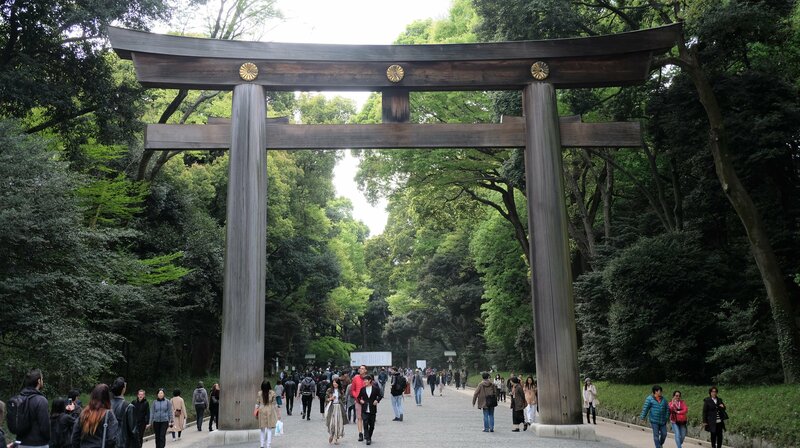 These torii, standing individually become one with each other, all standing firm with a sense of permanence and purpose. I’m not going to pretend I had some spiritual experience, not at all. However, it was the soothing experience I had been missing over the past few days. From a morning that started out with low expectations, it turned out to exceed my expectations. 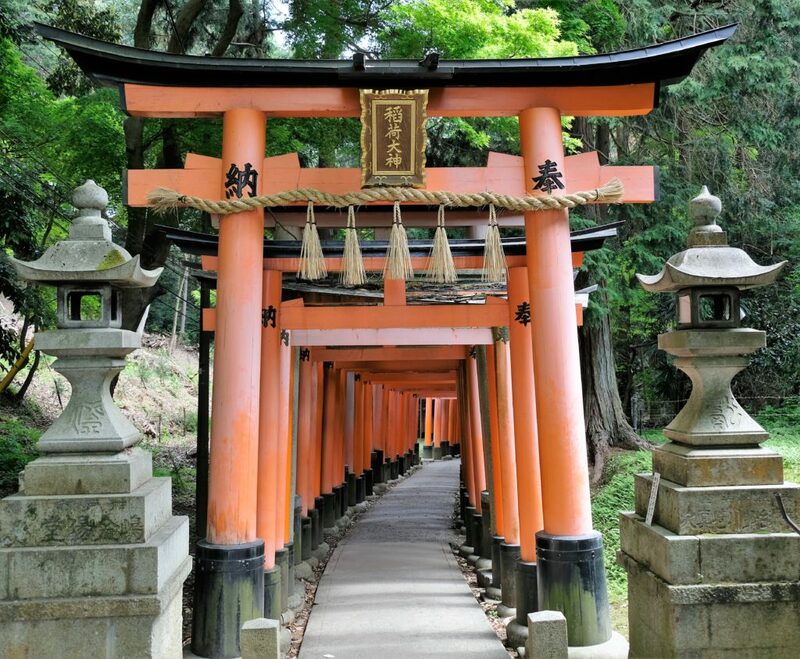 My 5km (maybe a little less) loop, up and around Mt Inari was done. Although the crowds were still at the bottom when I got there, this time round it didn’t bother at all. 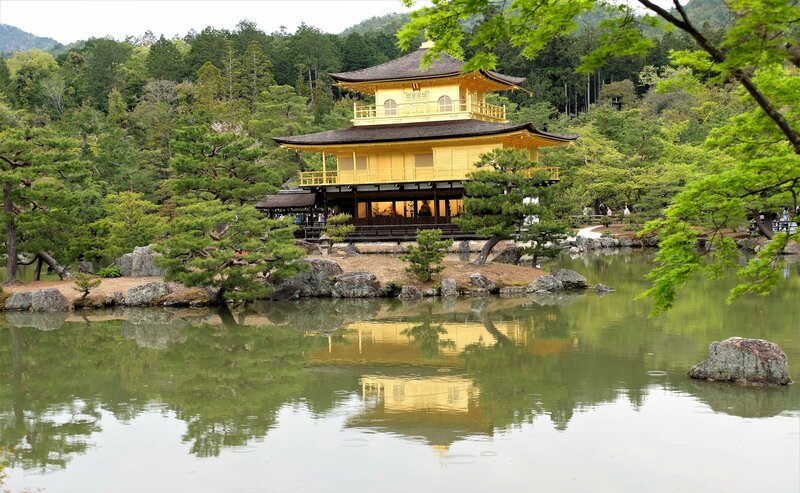 Next stop would take me to the North West of Kyoto, about an hours’ journey to Kinkaku-Ji also known as the Golden Pavilion. 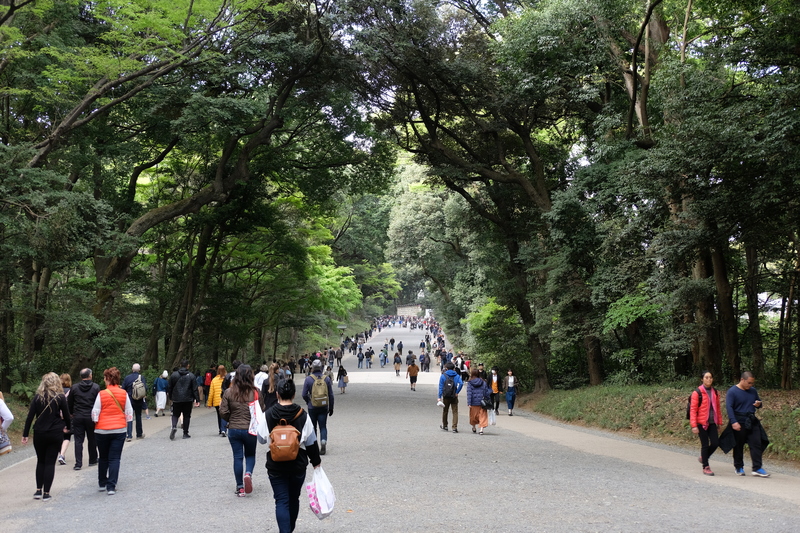 It wasn’t that easy getting to Kinkaku-ji from Fushimi Inari Taisha; a walk, train, bus and short walk again. Only reason for this was because of my starting point and making sure I got on the correct bus…on the right side of the road. Something I didn’t do when I left Kinkaku-ji heading back to my hotel. Enough about that. 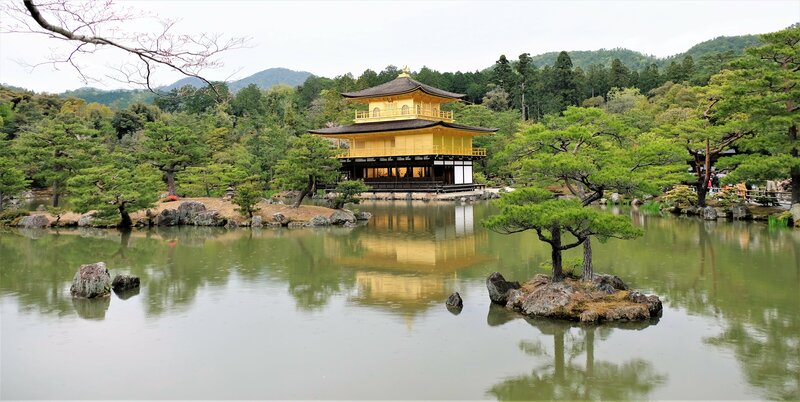 Officially known as Rokuon-ji, Kinkaku-ji means Temple of the Golden Pavilion and it is as picturesque as you could possibly want. 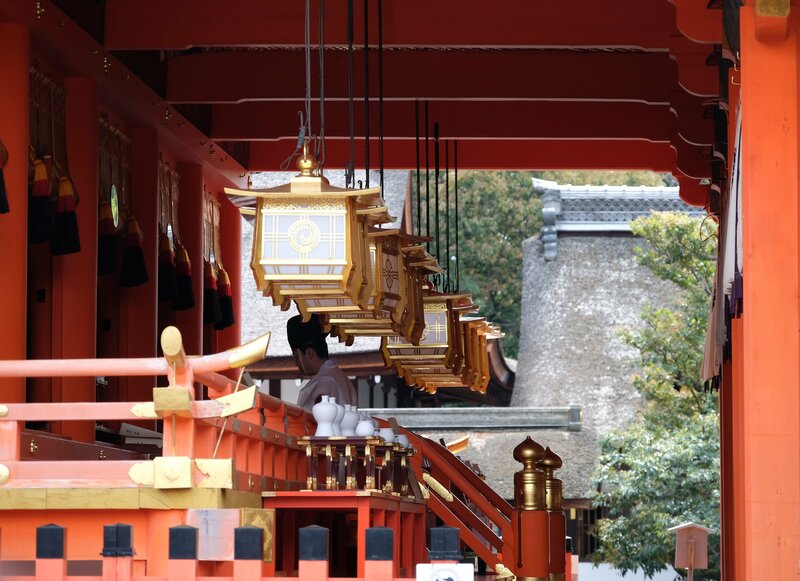 Even with the sky clouding over in dark grey and the imminence of rain, nothing couldn’t tarnish such a vivid temple. 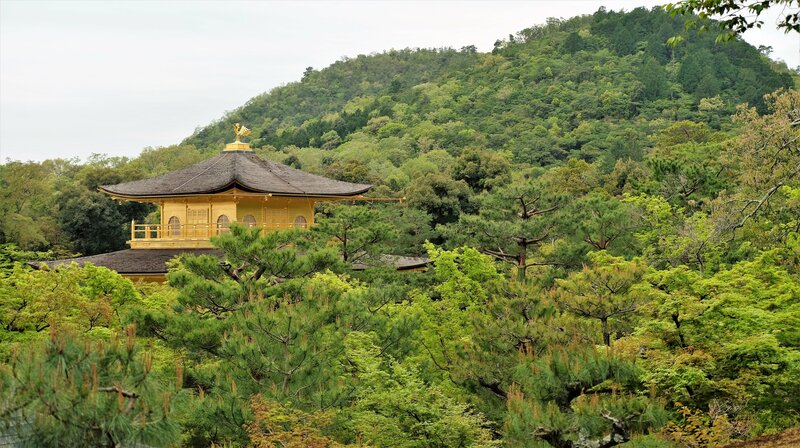 Kinkaku-ji is a Zen Buddhist Temple, but started out as a villa called Kitayama-dai owned by Saionji Kintsune, a statesman. 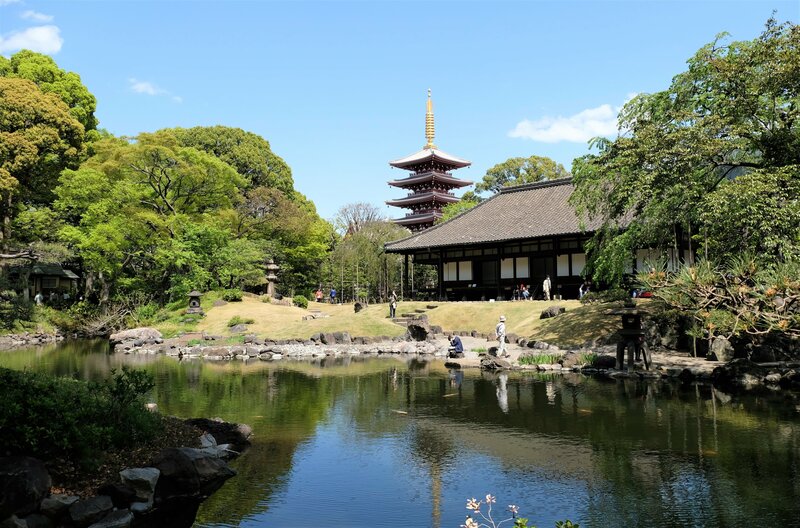 The Temple of the Golden Pavilion dates from 1397 when the villa was bought by shogun Ashikaga Yoshimitsu, who turned it into the Kinkaku-ji complex. 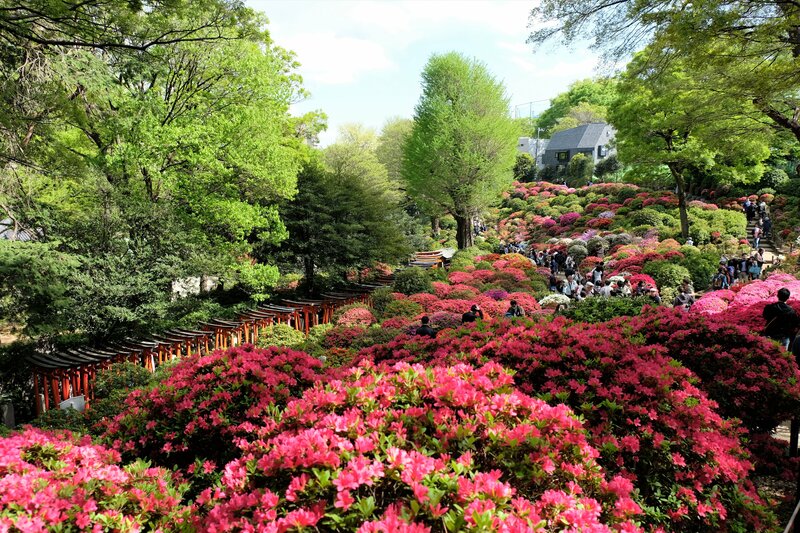 Ashikaga Yoshimitsu was the grandfather of Ashikaga Yoshinari (Ginkaku-ji Temple / Temple of the Silver Pavilion). 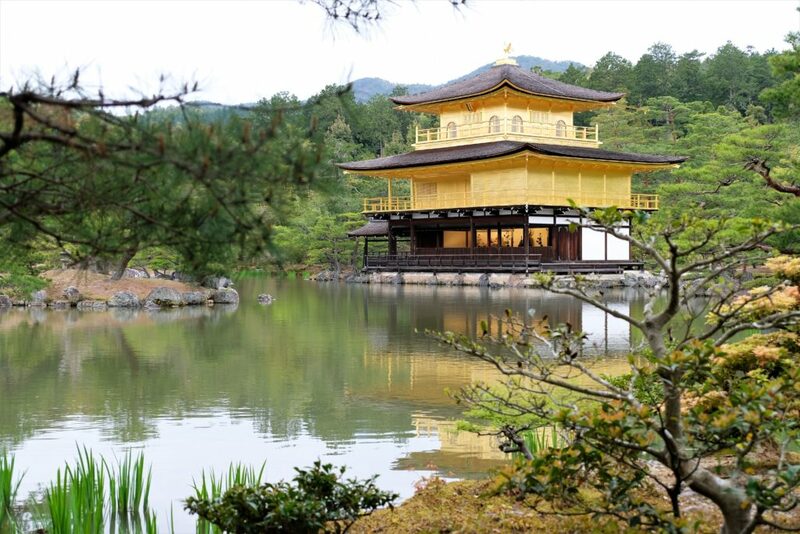 As expected in Kyoto, Kinkaku-ji has not escaped untouched by fire in its history. 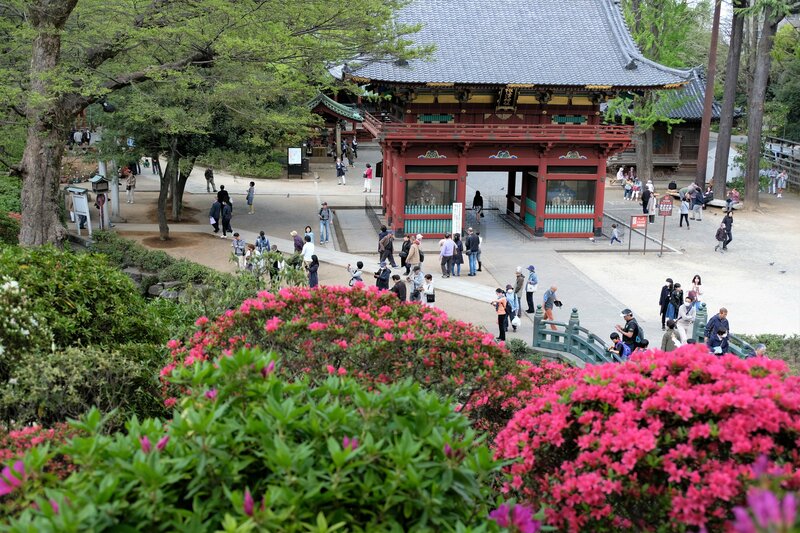 During the Ōnin war everything in the complex except the pavilion was burnt down. 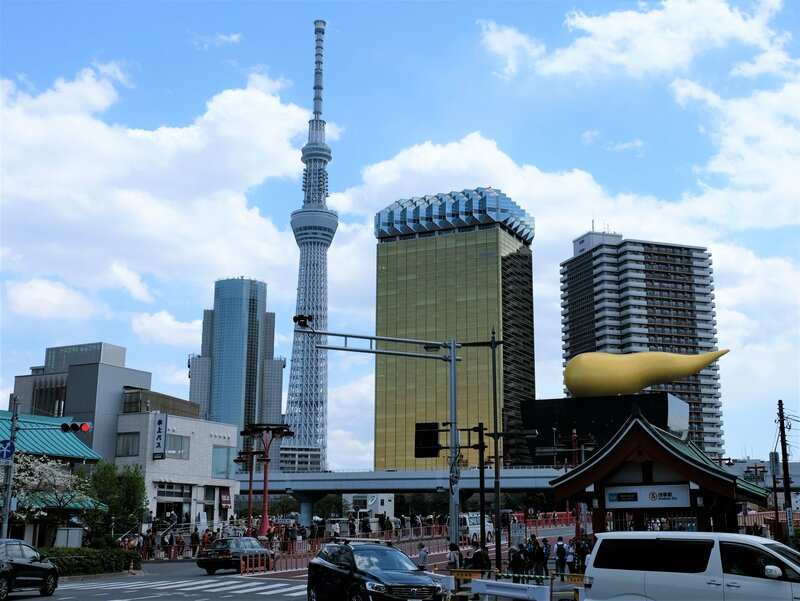 You would think that was the Golden Pavilion’s lucky break, not so. It eventually succumbed to fire when a junior monk burnt it down in 1950, after which he tried to commit suicide. He was sent to jail, due to mental health illnesses he was release not long afterwards. 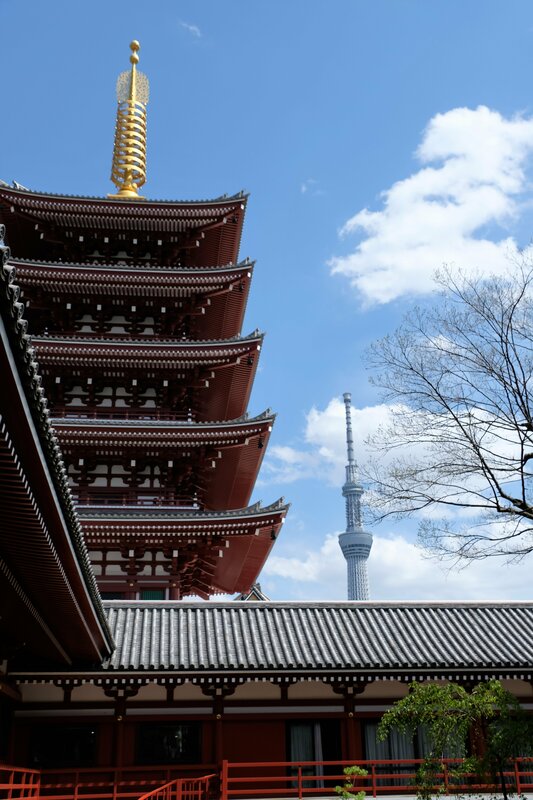 In 1955 Kinkaku-ji was rebuilt. 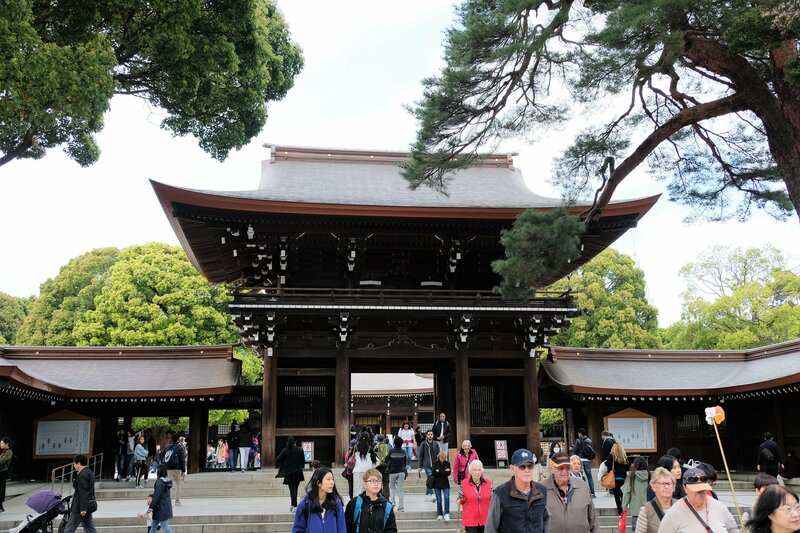 Lets just say my calm demeanour from Fushimi Inari Taisha carried through to the Temple of the Golden Pavilion. Yes, it was bloody busy! The photos may not show how busy it was, but I’ll take that as a sign of my improved photography skills 😊. 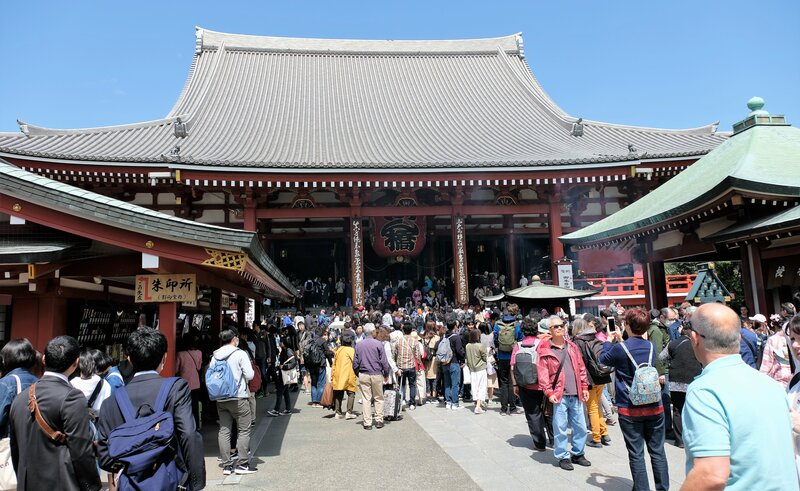 But seriously, the place was busier than Fushimi Inari Taisha; not as a total number of people, obviously the area is much smaller but certainly less personal space. Even so, I would go back many times over. If someone told you about a gold leafed temple you might think kitsch, ostentatious or pretentious, at least that’s what I would think. 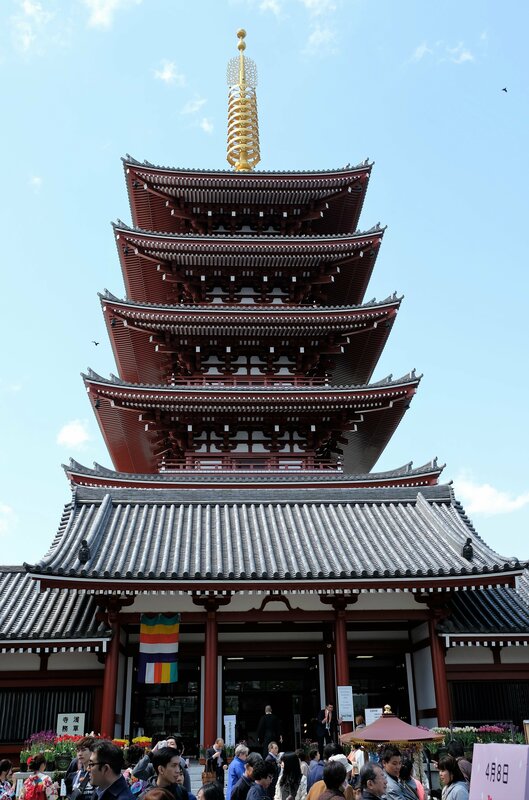 This, however, is a Japanese Zen Temple. Shimmering gold on the edge of a pond, surrounded by gardens, still, not a hint of extravagance nor pomp. 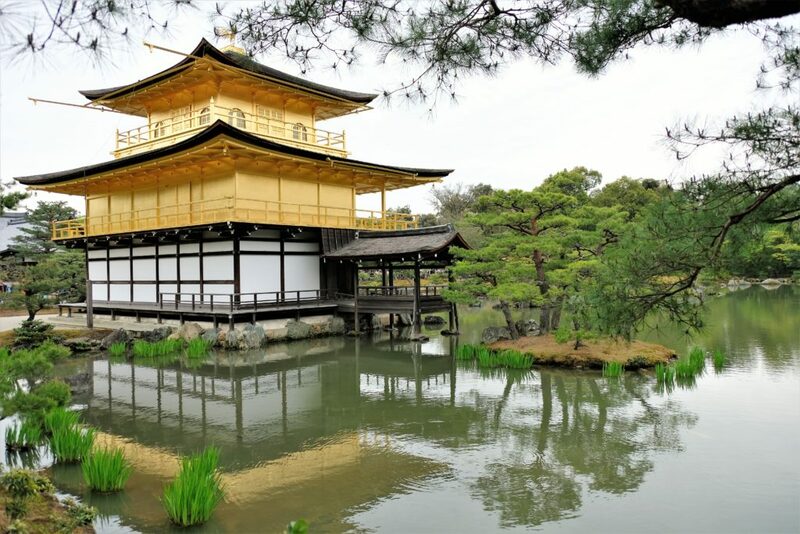 Kinkaku-ji is a beautiful building, with gardens that compliment and accentuate the temple and vice versa. 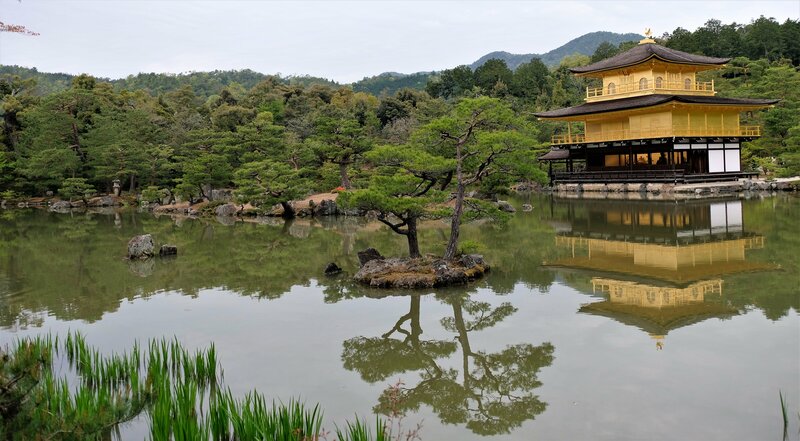 In my opinion the setting of Kinkaku-ji is perfect, with all that perfection reflecting off the mirror pond. 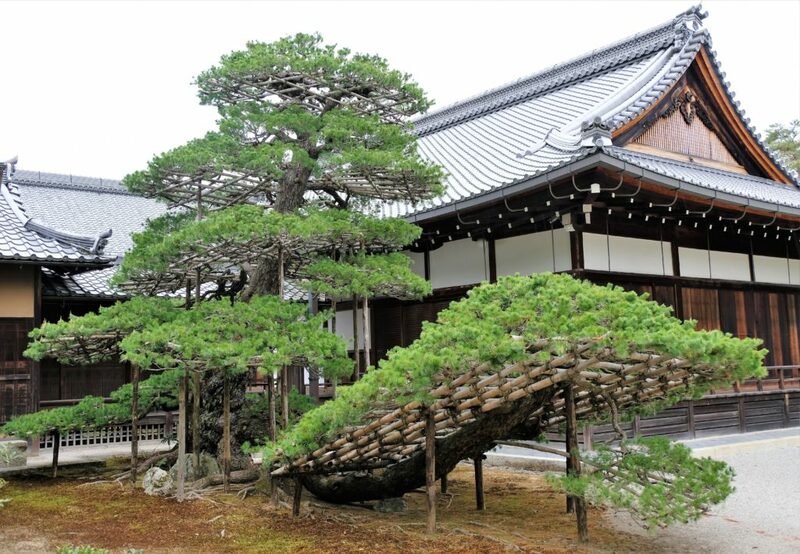 Manicured gardens of what I’ve come to call giant bonsai, look picture perfect down to every leaf. 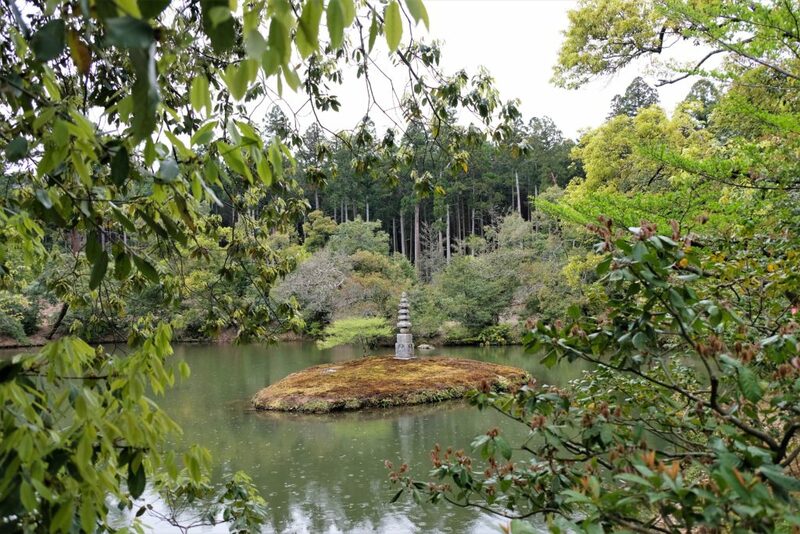 An additional separate pond sits behind and above Kinkaku-ji, with a White Snake Pagoda perched in the middle of a solitary island. I’ve included the link to the story of the Legend of the White Snake (White Snake Pagoda) – a Chinese mythological story dating back hundreds of years. 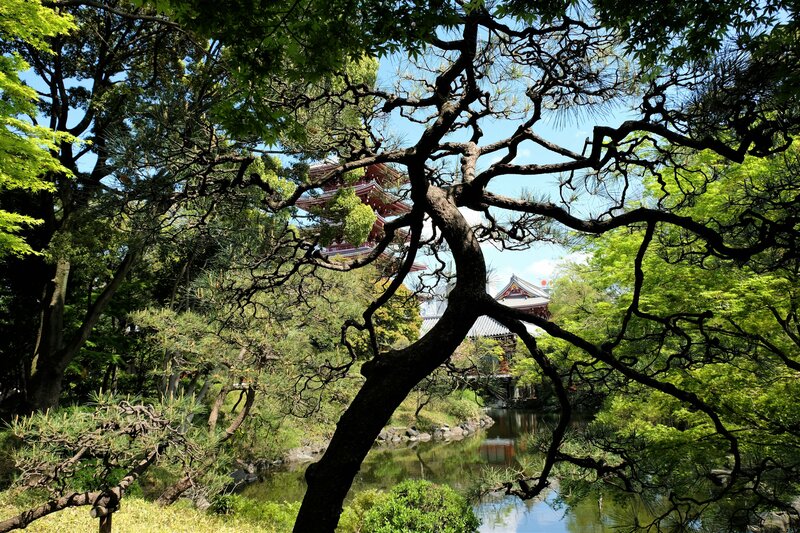 Another thing I spotted along the main path, is a tree called Rikushu-no-matsu. 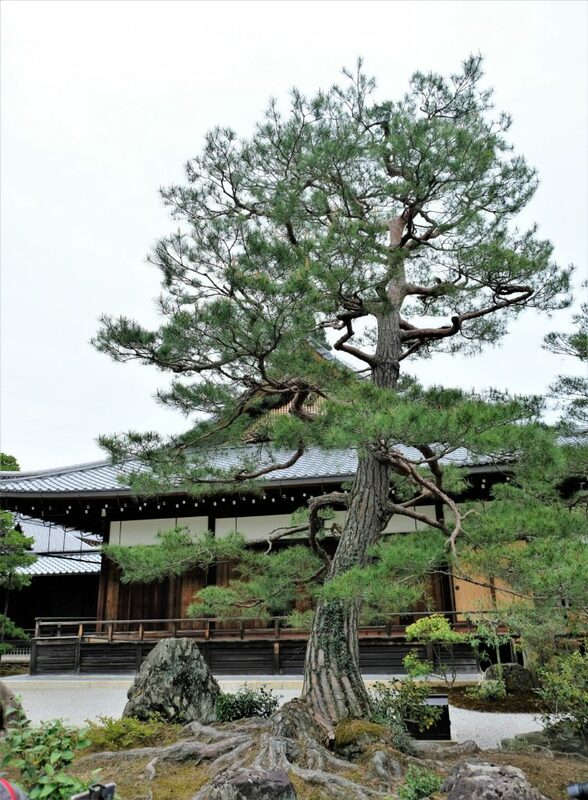 It’s not just any tree, it’s a 600 year old pine tree which has been shaped since planted whilst Ashikaga Yoshimitsu lived at Kinkaku-ji. Manipulated into what they call a dwarf tree, it has been fashioned into the shape of a boat. Such patience, care and skill let alone the continuity of these traits for 600 years! 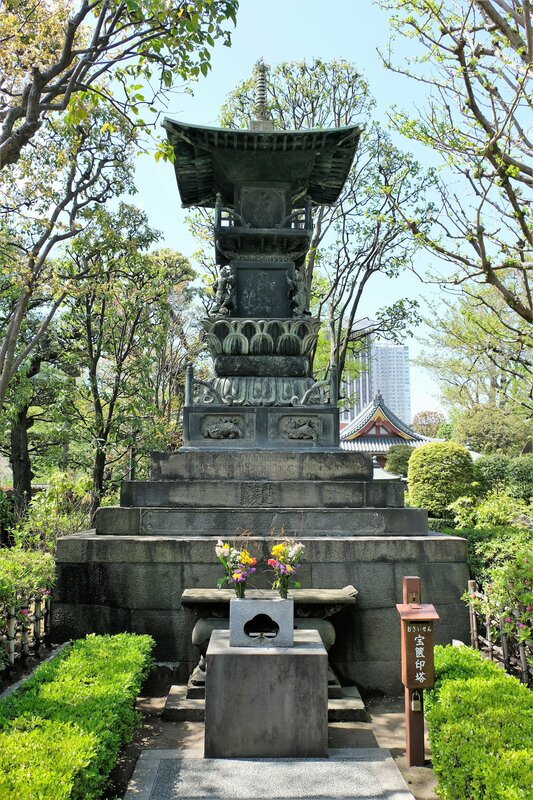 Traditions like these and the commitment to Zen are exemplified in this unique living sculpture. As a final point, I hope you like the photos and I hope they do it justice. Next post will be a mix of the little things I didn’t include in the previous posts about Kyoto, including Gion and Geishas. That will be followed by my last two post on Japan, Himeji Castle and Hiroshima, then on to Sydney etc. etc. If you are reading this, and like reading my blog you can sign up to email alerts on my home page. Thank for reading.